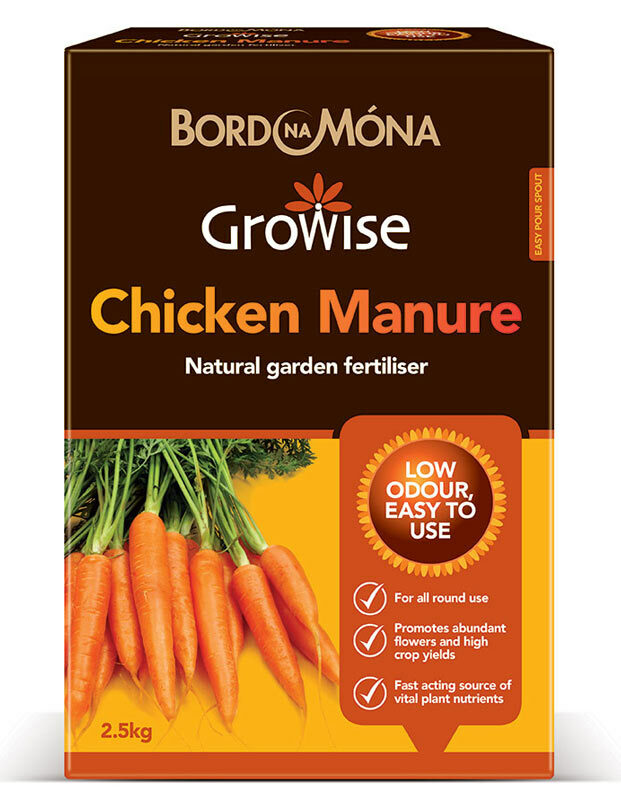 Bord Na Móna Growise Chicken Manure is a natural source of essential plant nutrients that will boost plant growth through the season. 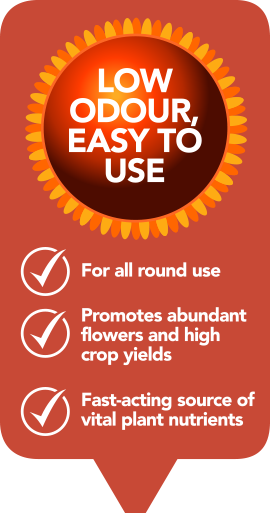 It is made from 100% chicken manure with no added ingredients. 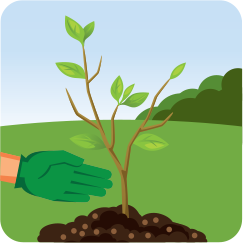 Nitrogen – encourages lush leafy growth. 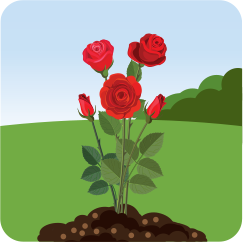 Apply to bare ground from early spring. 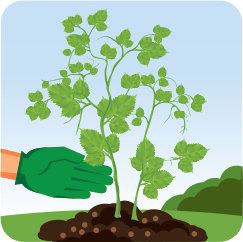 Repeat applications around established plants.